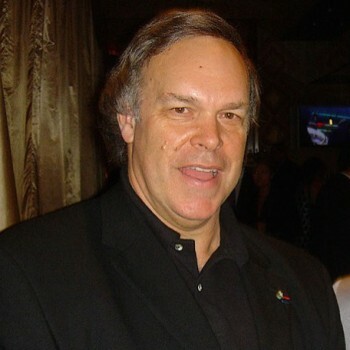 US wine critic Robert Parker has unveiled the 20 Bordeaux wines he will be tasting at Winefuture Hong Kong on 8 November. Christened “The Magical 20”, the tasting will feature 20 châteaux Parker considers to be “ones to watch” in the near future. “I have chosen estates that produce wines of first growth quality, although technically not first growths. Consequently, they are under-valued and very smart acquisitions”, Parker said. According to organiser Pancho Campo MW, Parker’s tasting could have a tremendous impact on the trading of Bordeaux wines in Asia. “Parker has chosen 20 wines he deems to have first growth potential. This could really shift the way that Bordeaux is traded in Asia,” Campo said. The wines will be taken from the 2009 vintage, rated as one of the greatest in Bordeaux’s history, marking the first public tasting of the wines since they were bottled. Parker will be accompanied by representatives from each of the 20 châteaux, who will talk through the wines and assist the critic in answering questions from the audience. Organised by The Wine Academy of Spain, Winefuture Hong Kong will take place on 6-8 November, bringing together wine experts from around the world to discuss issues such as consumption trends, sales, labelling, the environment and emerging markets. Honestly, Nothing “magical” about the 20 Chateau as they are exceedingly well known to anyone with even the slightest passing interest in Bordeaux and have been producing very good to great wines for years. Was hoping, with a title like “Magical 20”, there would have been an unveiling of much lesser known wines. Perhaps they are for some markets here in Asia, but HK is a sophisticated market and a majority of the 20 are found on a number of wine lists throughout the city’s vast array of fine dining establishments as well as its many wine shops. Totally agree with you Mr. Lawrence! See you soon for a nice Amarone! Match this against a price list, and you’ll find that all 20 of these appear in the top, ooh, 30? Parker – what a waste of space, clearly only understands high alcohol, high tannin’s, and over use of oak! Sadly the Bordelais don’t have the balls to stand up to him! I attended the inaugural Wine Future in Rioja in 2009, at the end of the event a round table, including Parker, Jancis Robinson, Paul Pontallier among others, was held whereby the trade could ask questions via the ushers present. My question at the time was whether Spain would ever enter the wine investment market, Pancho Campo MW was moderating and directed the question to Christopher Cannan of Europvin, a négociant. Parker, however, jumped at the question when Mr. Cannan had concluded (the conclusion, incidentally, that Bordeaux’s production level makes it tradable whereas other fine wine regions, such as Burgundy, cannot keep up). He (Parker) simply stated that he is against speculation on wine and, although it exists, does not wish to see that occur with wine. After that experience, as one may imagine, it is remarkable therefore, to read the terminology used above ‘…under-valued and very smart acquisitions’ (I presume he has not been misquoted). On the other hand, if I recall correctly, other reports on the upcoming Wine Future Hong Kong that I have read quote Mr. Campo as saying ‘..this could really shift the way that wine is traded in Asia” rather than change the way Bordeaux is traded in Asia. In terms of the above chateaux, as has been pointed out, these are very well known brands, some of which – Pontet-Canet, Lynch Bages, Cos – are already becoming ‘Chinese brands’, that is brands for whom demand, speculation and price are primarily influenced by China or the idea of selling to China later, irrespective of critic rating or vintage quality. There will be no change in the way Bordeaux is traded after this tasting, rather there will be a change in price in some or to an extent all of these wines, which could occur prior to the tasting by way of speculation and after by way of new demand, or, the trade may simply stock up before selling them on after the tasting. In terms of Bordeaux (that is top Bordeaux being very much the subject of this tasting) and China, as Jane Anson reports at her blog newbordeaux.com, today it is in fact not Robert Parker, but the Chinese businessman who is profiling as the market maker. To this end, however, the premise remains the same, the promotion of wines outside the First Growths will, assuming they show well, effect price in the short term and brand awareness overall. It is difficult to see, though, how such an event would change the nature and structure of the trade in top Bordeaux.